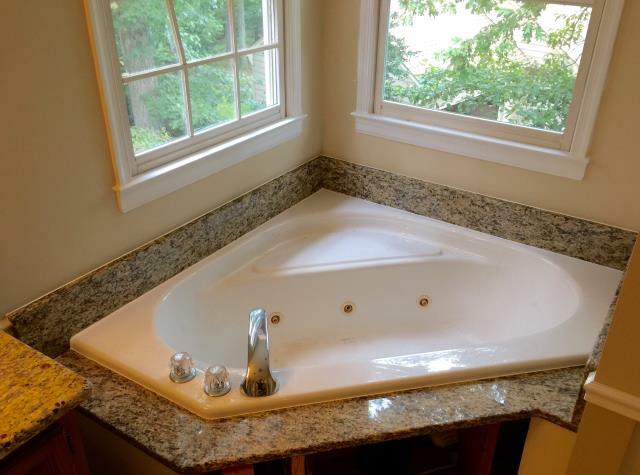 Panda Kitchen & Bath of Richmond VA is proud to offer the finest in natural maple wood cabinets, stainless steel sinks, and granite countertops in Midlothian and the surrounding areas. Whether you’re looking to install kitchen cabinets in Midlothian or give your home an entirely new look, our team of design, installation and project management experts are ready to help you with your next kitchen or bathroom remodeling project. Choosing a counter for your kitchen or bathroom is a big decision. Not only do you want the style to match, you need it to last for years to come. At Panda Kitchen & Bath, you can select from various colors of countertop made from various materials. 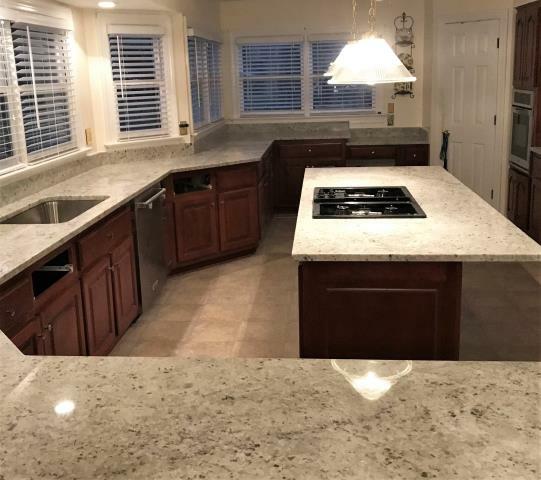 From Shadow Storm to Crystal White, we offer a variety of granite and quartz countertops to choose from. Don’t settle for an average kitchen or bathroom, and invest in the value of your home. 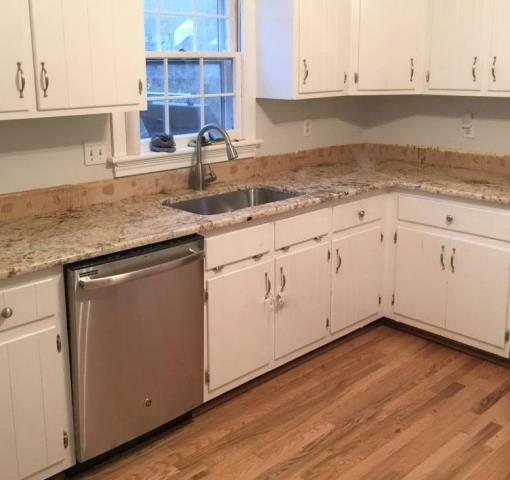 If you’re looking for a kitchen cabinet in Midlothian, VA, you’ve come to the right place. We can build your home custom bathroom or kitchen cabinets to improve its aesthetics and increase the value. In addition to offering a large selection of quality wood, we style your cabinets around your house with custom designs. 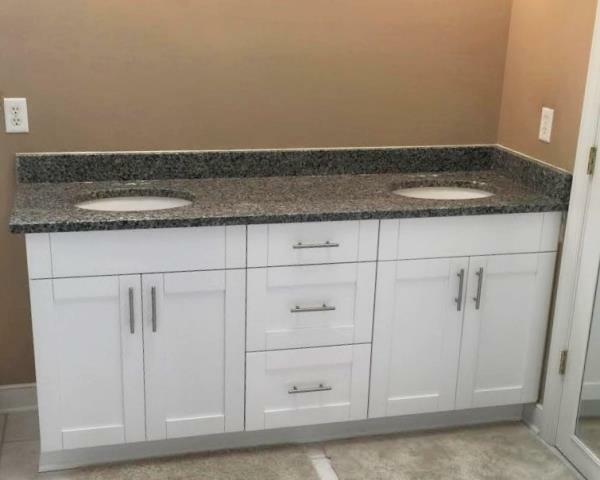 To check out the selection of bathroom and kitchen cabinets we offer in Midlothian, VA and surrounding areas, see our cabinet products. We offer a large selection of granite countertops and wooden cabinets, already in stock in our showroom. 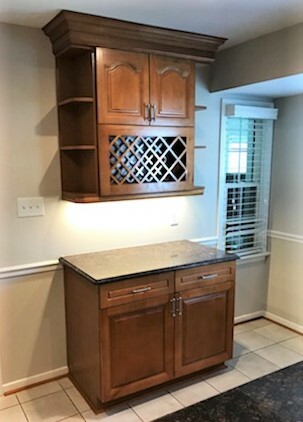 And if our selection of cabinets and countertops do not satisfy your remodeling desires, our experienced designers will work with you to make alterations or order materials from a local supplier. If you’re looking to update your Midlothian area home, give us a call today to set up a consultation. May made the whole process seamless. She was very helpful and responsive. The installers were prompt, courteous and professional. Altogether a great experience! This is my second time using Panda Kitchen and Bath, and I they give wonderful service for a great price. I got 3 bids on my kitchen remodel, and not only did we like Panda the best for design, but they cost less by several thousand dollars! Very professional, good pricing. Overall very pleased with the end product. Willing to work with out schedule. This was our second purchase of granite from Panda. They provide a very relaxed experience for the customer with no pressure. The staff are very knowledgeable and will work with the customer to provide the service and product they want. If in the market again for granite, I would return to Panda. We are very pleased with our latest purchase and have had multiple compliments on the beautiful granite and installation they did. I am completely satisfied with the sales, service and installation I received.The sales person was knowledgeable, kind helpful during the stone selection process. She was also very thorough in explaining the steps from sale to installation. The installation went very well. The crew worked fast and very coordinated. 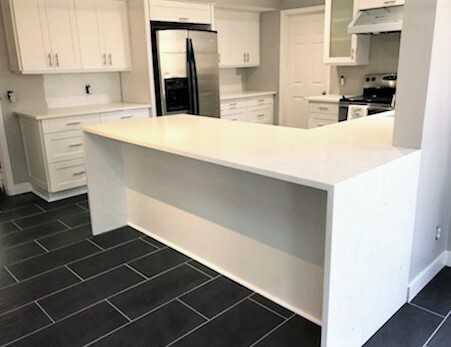 The result is a perfect new counter top..
Just finished installing this stunning white shaker kitchen with our in-stock classical white quartz with a waterfall edge. This kitchen design offers a ton of drawer and storage space! We can't wait to see it with the tile splash and floating shelves. My client selected the beautiful Colonial White granite for their huge kitchen and the bar counter. We also installed two vanities with the Shadow Storm Marble. 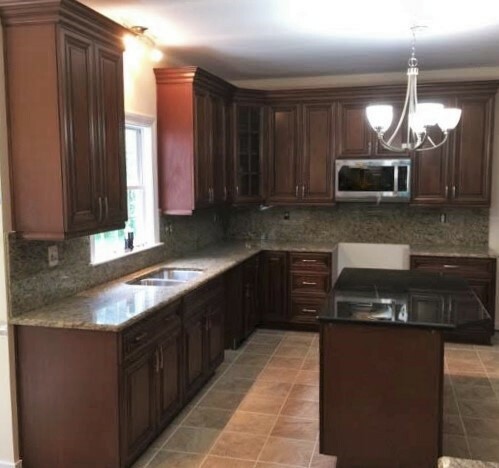 Chocolate shaker kitchen cabinets with the classic St. Cecilia granite counters all completed in just two days. Such a treat to install this add on piece for a customer who purchased their kitchen 9 years ago. The main kitchen still looks brand new! Our in stock Golden Crema looks beautiful on the Honey maple cabinets. Can't wait to see after photos when the kitchen is fully completed. Our installers completed three bathroom vanities cabinets for my client today. Our company just installed the espresso single shaker island cabinets for my client. Can't wait for her butcher block counter to be installed next week. We absolutely can't wait to see this kitchen finished! We installed our beautiful Vanilla Cabinets with our new inventory of the stunning Ganache granite. 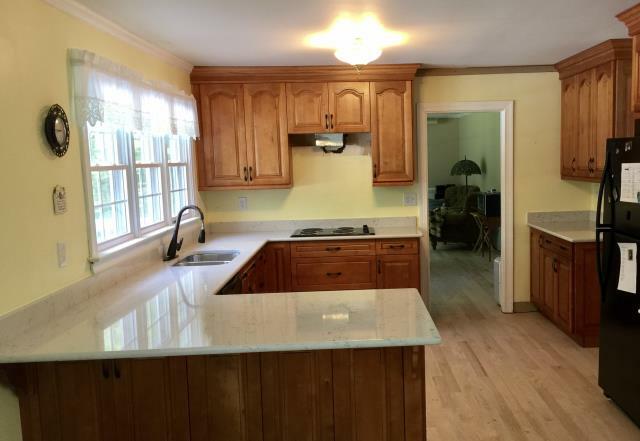 What a transformation from the original kitchen! 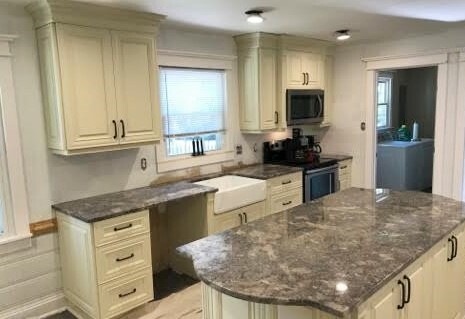 This Yellow Butterfly granite was just installed on our customers existing maple cabinets to offer a soothing combination of colors in the kitchen. 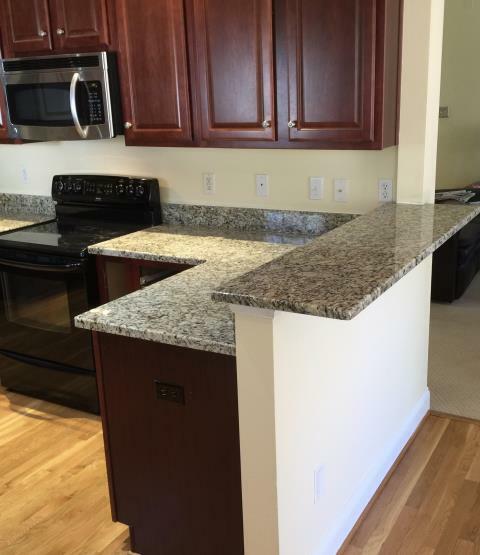 Our in-stock Yellow Butterfly granite looks great on our customers own Gray cabinets! Just finished installing these beautiful coffee cabinets with Santa Cecilia counters and full splash! 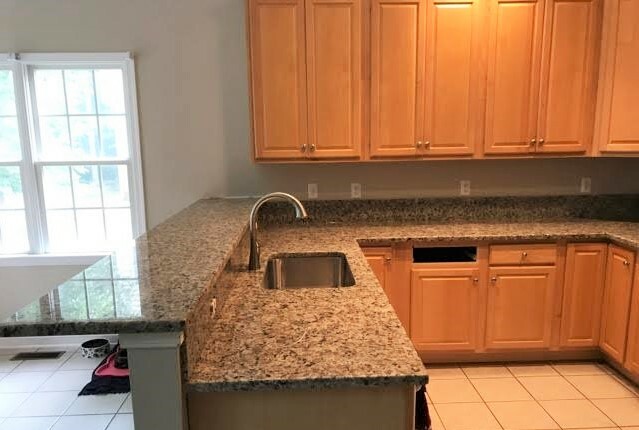 We installed a kitchen granite counter for my client back in 2015. So happy to work with them again on their new house. This time we installed the honey maple cabinets with Cambria's Waverton quartz. Our company is lucky to have so many return customers. 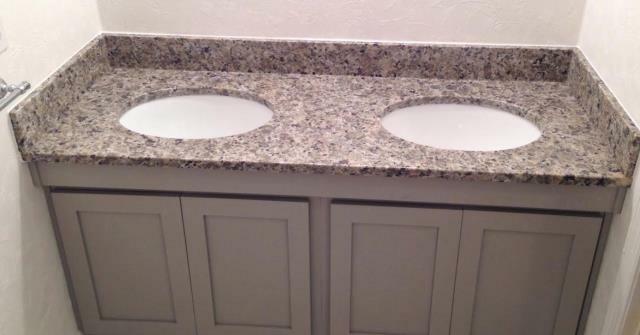 My client has used our cabinets and granite for her rental units in the past. We are so happy to finally install granite for her kitchen counter. The Venetian Ice looks perfect with her existing cabinets. Just installed our clean & sparkly Crystal White quartz vanity top on our customers own white shaker vanity. Stunning! 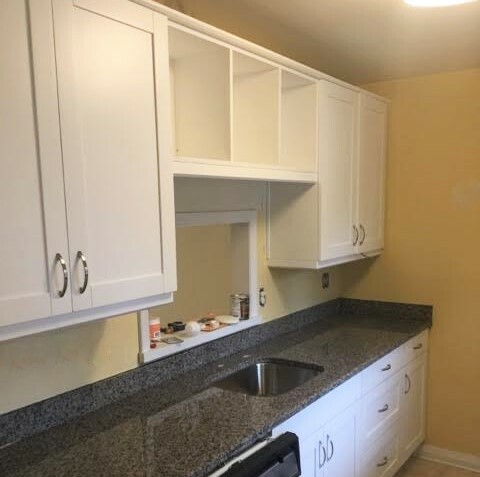 We loved helping this return client update their cozy condo kitchen into a functional space using our popular white shaker cabinets and new caledonia granite! 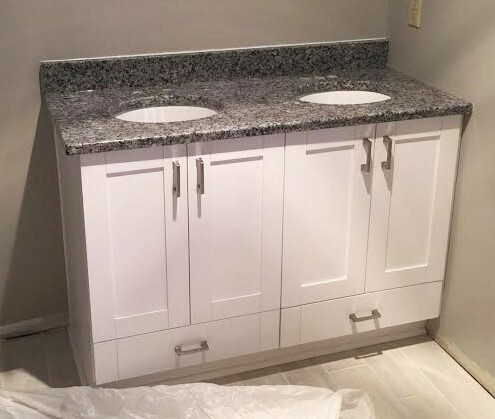 White Single shaker maple vanity cabinets with the Azul Platino granite top. Just installed another white shaker vanity with azul platino granite! 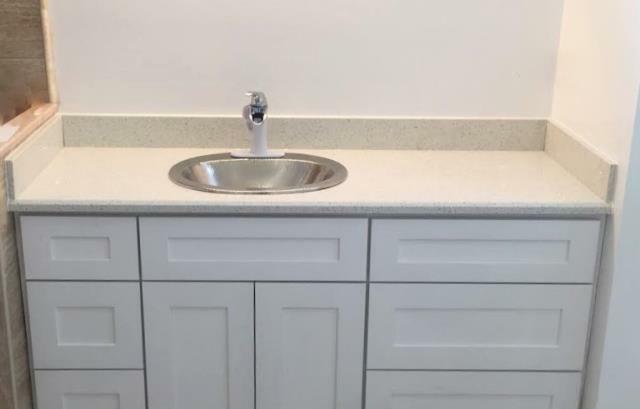 We even added functioning drawers at the bottom of each sink base! Our Golden Crema granite works well with our customers own white cabinets and beautiful wood floors. The moment my clients saw the Yellow Butterfly granite, they knew that was exactly what they had in mind for. I hope you enjoy your beautiful kitchen countertop. Just completed another granite job for my awesome client. 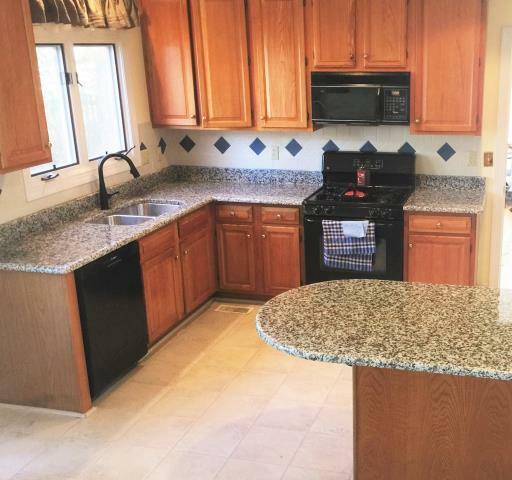 Santa Cecilia granite for the kitchen, 3 bathrooms, and the tub surround. So happy to work with my clients on their second kitchen granite countertop. We love the curve on this Bainbrook Brown granite we installed! Light maple wood kitchen cabinets with wheatfield granite countertop with granite full backsplash. Beautiful! Installed the Rose White kitchen granite counter top just in time before Thanksgiving!